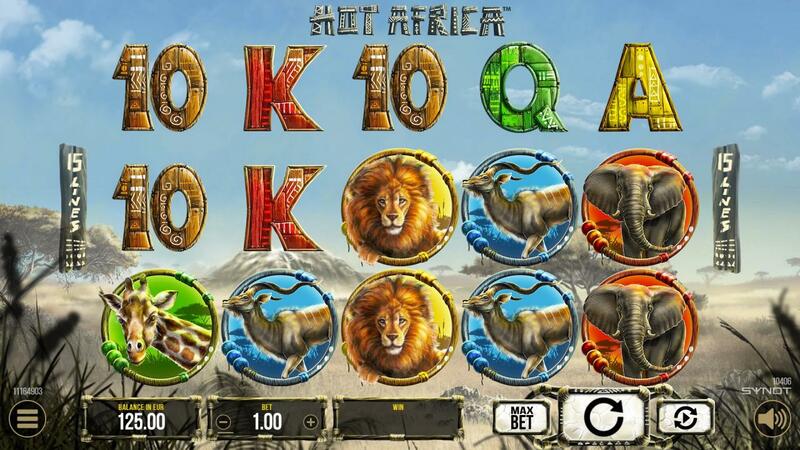 Wake up the sleeping lion and let the savanna come alive in this gorgeous game set under the African sun. Follow the footsteps of the famous explorer, Dr. Livingston and meet the majestic lion, friendly giraffe and fearless antelope all living under the African sun, at the foothills of Mount Kilimanjaro. 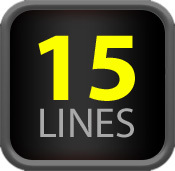 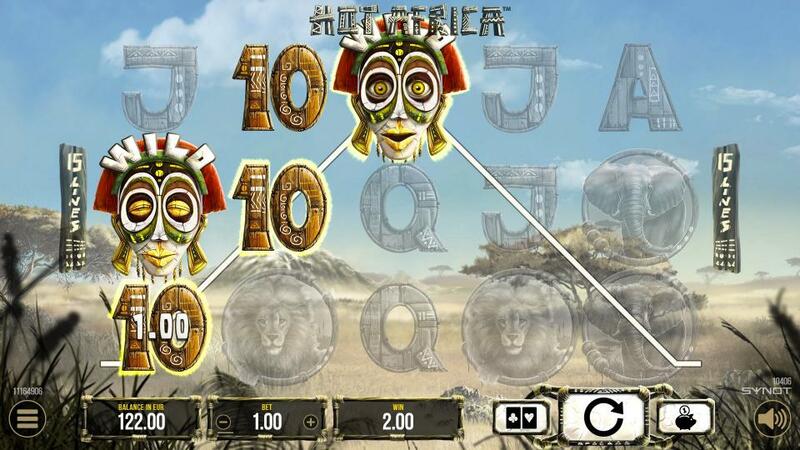 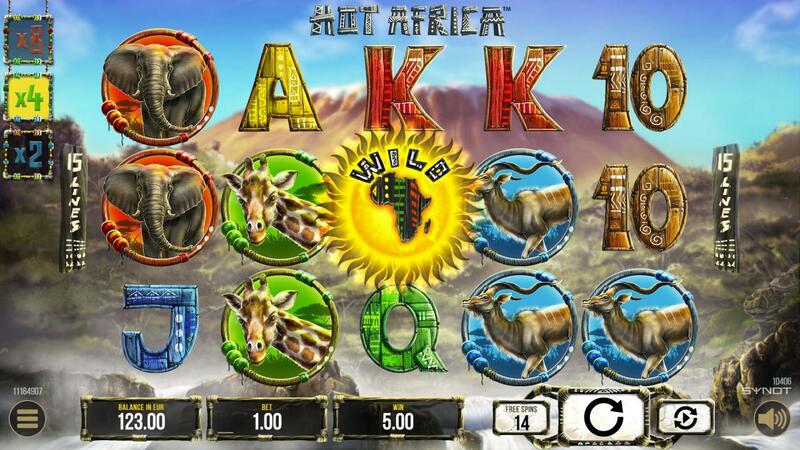 Hot Africa’s dominant feature is the Free Spins feature with increasing multiplier. 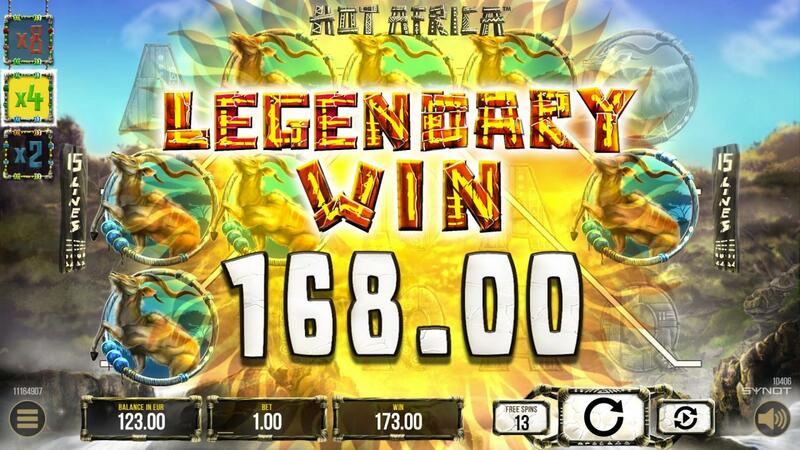 A chance for legendary wins gets bigger with every sun rising on the middle reel.